4. Cause of RTA(Road Traffic Accidents). 5. The woman in red and the eggs she is carrying both are in equal risk. 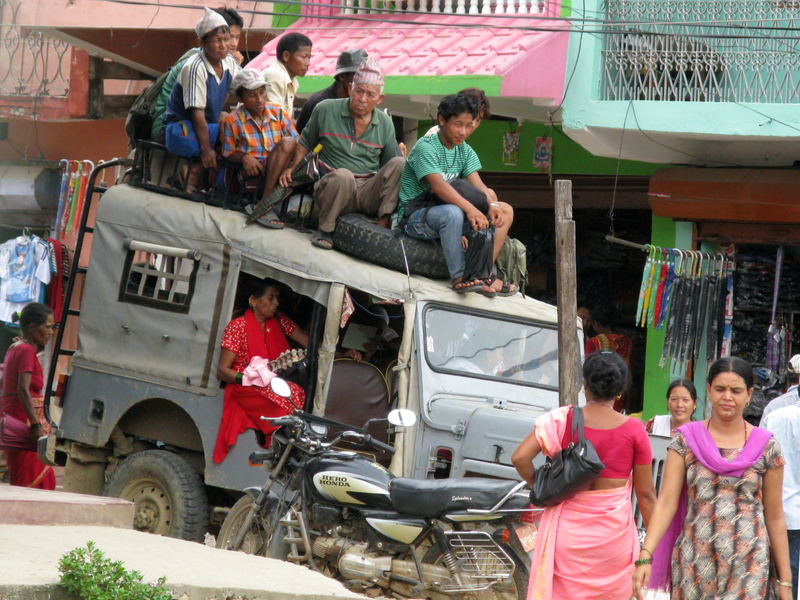 This sort of image can be seen around almost any place in country during festivals like Dashain and Deepawali. I saw it and clicked one. It was some place in terai, took the image from vehicle I was riding.